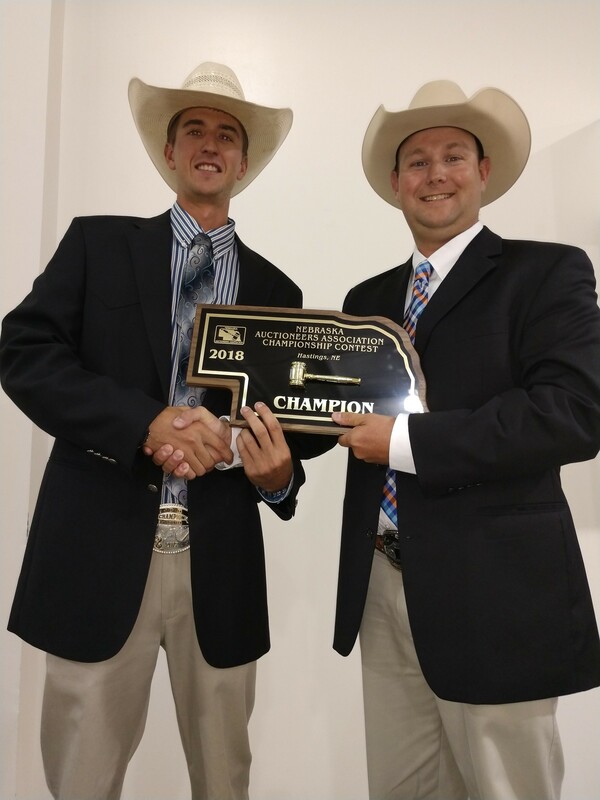 The Nebraska Auctioneers Association, a state trade organization representing the auctioneering profession in Nebraska, conducted their Annual Auctioneer State Championship on Saturday, July 28, 2018. The Championship Competition, crowning both the top auctioneer and ringman, was held in conjunction with a live auction hosted by the Bergman Family and Ruhter Auction & Realty, Inc. The Nebraska Auctioneers Association is the leading voice for the auction industry in Nebraska. Our mission is to promote the industry to the public, educate our members and to provide for professionalism and ethical standards of auctioneers throughout the state. The Nebraska Auctioneers Association provides professional educational forums at the Winter Workshop and at the Annual Convention each year. Learning from one another is a vital part of making your business and the Association stronger and a vital voice for the industry in Nebraska. Auctioneers develop their image and leadership skills and help to promote the auction method of marketing to the public. The Association continues to bring in new generations of auctioneers who have grown up in the business, fostering pride in the heritage of the profession.